Since 1989, Limbaugh Toyota has maintained its winning formula for success: stocking a fantastic inventory of brand-new Toyota models and high-quality pre-owned vehicles, offering incredible offers and money-saving incentives, and treating customers like family. With 30 years of success under our belt, we’re looking forward to the next 30 years as we continue to cater to our valued customers and even find new ways to ensure their complete satisfaction! There’s no shortage of car dealerships in the Birmingham area, which makes us even more appreciative of those customers who choose Limbaugh Toyota. Whether you come here because your friends and neighbors have recommended us, because one of our TV ads caught your eye, because you’ve heard about our amazing prices and specials, or because our online inventory has lots of models you’d like to see in person, we can’t wait to meet you! And once you’re here, you’ll immediately see why we are the go-to automotive dealer for so many Central Alabama vehicle shoppers. We are a family business that has spent 30 happy years serving Alabama families. We put you first and will do right by you, every time. There is a lot to be said for a car dealership that prides itself on honest, up-front business. 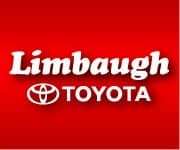 Limbaugh Toyota is just such a dealership and is excited to prove it to you. At Limbaugh Toyota, we look forward to many more years of serving Alabama vehicle shoppers with our amazing selection, compelling prices, and unbeatable customer service. And as we look toward the future, we also celebrate the past, pausing to remember that our loyal customers are the reason we’ve been fortunate enough to reach this milestone. Here’s to the next 30 years of superior selection, savings, and service at Limbaugh Toyota!